Home | About RECOM | What is RECOM process? The RECOM Process began with a debate in May 2006 on the instruments necessary for the discovery and telling of the truth about the past, at the First Regional Forum on Transitional Justice organized by the Humanitarian Law Center (Serbia), the Research and Documentation Center (BiH), and Documenta (Croatia).The participants, who were representatives of non-governmental organizations and associations of families of missing persons and victims from post-Yugoslav countries, gave priority to a regional approach in dealing with the past. In the period between May 2006 and 26 March 2011, the Coalition for RECOM organized a comprehensive social debate (consultative process) on the RECOM mandate.The process saw the participation of 6,700 representatives of civil society, including human rights organizations, victims, families of victims and the missing, refugees, veterans/defenders, former detainees, lawyers, artists, writers, journalists, and other distinguished individuals. A total of 128 local and regional summits and eight international forums on transitional justice were held. The opinions presented were incorporated in the Proposed RECOM Statute, adopted on 26 March 2011 by the Assembly of the Coalition for RECOM. After the consultative process, the second phase of the process started – the institutionalization of the RECOM Initiative. This phase represents the transfer of the RECOM Initiative from the level of civil society to the political level – the domain of institutions. To obtain public support for the establishment of RECOM, the Coalition organized a petition for the establishment of RECOM in May and June 2011 which was signed by 555,000 citizens from all post-Yugoslav countries. A Public Advocacy Team was formed and the RECOM for the Future action launched. The advocacy resulted in the decision of the Presidents and the Presidency of BiH to appoint Personal Envoys for RECOM. The Personal Envoys were assigned to analyse the RECOM Statute proposed by the Coalition for RECOM, and to examine the constitutional and legal possibilities for the establishment of RECOM in each individual country. On 28 October 2014, the Personal Envoys for RECOM submitted the Amendments to the RECOM Statute as aan agreed document that represents the legal framework for the establishment of RECOM. These amendments were unanimously supported by the Coalition for RECOM at the Assembly Session held on 14 November 2014. In the meantime, however, elections were held in BiH and new Members of the BiH Presidency were elected; and a new president was elected in Croatia. Thus, in the first half of 2015 the Coalition for RECOM found itself in the situation of having to seek the support for the establishment of RECOM again. So far, support has been confirmed by the Presidents of Serbia, Montenegro, Kosovo, and Macedonia, and the Bosniak Member of the BiH Presidency. They have also supported the strategy of the Coalition for RECOM to consider the issue of establishing RECOM within the framework of the Berlin Process. Over a period of just a few days in May 2017, 50,000 citizens of Sarajevo, Banja Luka, Pristina, Zagreb, and Belgrade signed a petition for the agreement of the leaders of post-Yugoslav countries on the establishment of RECOM within the framework of the Berlin Process. The Declaration by the Chair of the Trieste Summit on 12 July 2017 highlighted the recommendation of the Civil Society Forum for the establishment of RECOM as a joint effort of the London Summit participants. In connection with the London Summit to be held on 10 July 2018, the Coalition for RECOM called on the Prime Ministers of Serbia, Montenegro, Kosovo, and Macedonia to sign the Declaration on the Establishment of RECOM and invite the remaining post-Yugoslav countries to join in the common task – the creation of a list of human losses in the wars of the 1990s. The HLC, Documenta (a Croatian NGO) and the Research and Documentation Center (RDC-B&H) initiated a debate on the mechanisms for the establishment and public disclosure of the facts about the war crimes perpetrated in the recent past, and a meeting was organized, involving 10 of the most prominent human rights NGOs from post-Yugoslav states. Also taking part in the meeting were experts from the International Center for Transitional Justice. The participants gave their full support for war crimes trials. Bearing in mind that criminal trials tended to be focused on the perpetrators, the HLC, Documenta and the RDC decided to start a victim-centric regional debate on extra-judicial mechanisms for the establishment and public disclosure of facts about war crimes and other gross human rights violations. 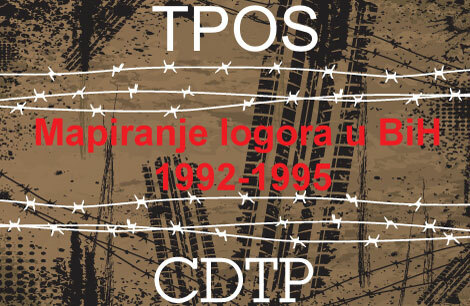 The First Regional Forum for Transitional Justice, dedicated to the initiatives and prospects for the establishment of the truth about the past, was organized by the Research and Documentation Center (B&H), the Humanitarian Law Center (Serbia) and Documenta (Croatia). Around 300 participants from across the whole region took part in the Forum, which marked the start of the first phase of the Consultation process – a debate about the kind of mechanisms (for the establishment and disclosure of facts about war crimes) the region needed. The Second Regional Forum on establishing the truth about the recent war crimes and conflicts was organized by Documenta, the Humanitarian Law Center and the Research and Documentation Center. For the very first time, more than 300 participants from all the post-Yugoslav states - including representatives of various human rights NGOs, associations of victims and families of the missing, veterans’ associations, the Hague Tribunal, the International Center for Transitional Justice, along with numerous judges, prosecutors, artists and journalists – took part in the debate about the instruments needed to establish the truth about the past. The Forum was opened by the Croatian President Stjepan Mesić, who expressed his strong support for the establishment of facts on a regional level. The Third Regional Forum for Transitional Justice was organized by the Humanitarian Law Center (Serbia), Documenta (Croatia) and the Research and Documentation Center (B&H), and more than 300 representatives of victims’ associations (as well as unaffiliated victims), veterans’ associations, youth organizations, human rights activists, journalists, judges, prosecutors, lawyers, MPs, historians, artists, college and high school students took part. The Forum was opened by Oliver Dulić, the President of the Serbian National Assembly, and Jelko Kacin, the Special Rapporteur of the European Parliament for Serbia. At the Third Regional Forum, the debate which, up to that point, revolved mainly around extra-judicial mechanisms,finally gained substance, and the need to establish a regional body which, in turn, would establish the facts about the recently perpetrated war crimes became part of the conversation. It was at this Forum that the first public testimonies of victims were held. During the Regional Consultations with victims and representatives of victims’ and veterans’ associations held on May 9th in Podgorica, the Initiative for the Establishment of a Regional Commission to establish and disclose all the facts about the recently perpetrated war crimes (RECOM) was first launched. The initiative was started by the Humanitarian Law Center (Serbia), Documenta (Croatia) and the Research and Documentation Center (B&H). Those taking part in the consultations – representatives of victims’ associations and individual, unaffiliated victims, along with veterans from Montenegro, Croatia, B&H, Serbia, Macedonia, Slovenia and Kosovo – gave their backing to the Initiative for the establishment of RECOM, firmly believing that it would also receive strong support from the missing persons associations in all post-Yugoslav states. The Fourth Regional Forum was the largest conference on the mechanisms for the establishment of facts about war crimes held in the former Yugoslavia to date. It was organized jointly by the Humanitarian Law Center, Documenta, the Research and Documentation Center, the Shpresimi Association and Community Building Mitrovica. The meeting took off with words of greeting from Kosovo’s President Fatmir Sejdiu, EULEX Mission Deputy Head Roy Reeve, and other high-ranking officials. It was at this Forum that the Coalition for RECOM was established, tasked with organizing a debate on RECOM’s mandate, aims and other relevant elements. After the Fourth Regional Forum for Transitional Justice, the Research and Documentation Center left the Coordinating Council and ended its engagement and advocacy for the Initiative to establish a Regional Commission. On May 5th, 2009 in Podgorica, Montenegro, the initiative sponsors (the HLC, Documenta and the RDC) formed the Coordinating Council (composed of members by invitation). Its first task was to create the Coalition for the establishment of RECOM, and delegate it the authority to administer the consultation process. Following that, the Council’s task was to supervise the implementation of the decisions adopted by the Assembly of the RECOM Coalition. The Coordinating Council ceased to exist with the creation of the Regional Team of Public Advocates in October of 2011, which marked the start of the preparations for a news stage in the RECOM Process – the institutionalization. The Fifth Regional Forum gathered over 200 NGOs from all states in the region of the former Yugoslavia. With its 316 participants, it stands as one of the largest gatherings on transitional justice to date. With the assistance of the Secretariat of the RECOM Coalition, the Forum was organized by the Center for Civic Education and the Human Rights Action from Montenegro. This was the first Forum where members of the RECOM Coalition, as part of four separate workshops, discussed the model and other elements of the RECOM model. The day before the Forum, the members of the Coalition held the first and founding session of the Assembly, which saw the adoption of the Coalition Statute and the election of members to the Coordinating Council. The Fifth Forum was opened by Ranko Krivokapić, the President of the Assembly of the Republic of Montenegro, along with Pierre Mirel, the head of the European Commission's Enlargement Unit for the Western Balkans, and Ron J. P. M. van Dartel, the Dutch Ambassador to Serbia and Montenegro. The Sixth Regional Forum for Transitional Justice was opened by Ana Tomanova Makanova, the Vice-President of the Government of Vojvodina, Vincent Degart, the Head of the European Commission’s Delegation to Serbia, Dinko Gruhonjić, the President of Vojvodina’s Independent Journalists’ Association, and film director Želimir Žilnik. The event was attended by more than 300 CSO representatives and individuals from across the whole region of the former Yugoslavia. The second meeting of the RECOM Coalition Assembly was also held as part of this Forum. The first media campaign to present the RECOM Initiative to the region’s general public was titled “Why RECOM?” The promotional activities began simultaneously in Banja Luka, Belgrade, Podgorica, Prishtina, Sarajevo and Zagreb on June 1st, 2010, and spread to other cities soon after. The TV spots used in the campaign were directed by Slobodan Šijan and Milutin Petrović. As part of the campaign, www.ZaRekom.org was launched in eight different languages, and the Initiative was presented on both Facebook and Twitter. In June of 2010, Macedonian NGOs and associations of victims and war veterans joined the Consultation Process, soon to be followed by NGOs and associations of the erased from Slovenia. The Seventh Regional Forum for Transitional Justice was held in Zagreb on October 16th and 17th, 2010. The opening speech was given by Ivo Josipović, the Croatian President at the time, with former Croatian President Stipe Mesić and Government Vice-President Slobodan Uzelac also taking part in the proceedings, along with several Croatian MPs and cabinet representatives. Apart from the plenum itself, the entire debate was conducted in four working groups deliberating, respectively, the election of RECOM members; RECOM’s powers and its relation to the judiciary; public advocacy; and RECOM’s main aims and tasks. The Forum ended with the participants’ joint assessment that all future activities of the Regional Commission had to be based on willingness on the part of the victims, a sense of obligation on the part of the states, and the full independence of the Regional Commission, to be tasked with establishing all the facts about the war crimes perpetrated within the territory of the former Yugoslavia (RECOM). Public advocacy for the RECOM Initiative began in January of 2011. It is conducted at a national level, involving members of the RECOM Coalition’s Coordinating Council, the Initiative’s coordinators and public relations representatives, and members of the RECOM Coalition in general. The aim is to gather political support for the establishment of RECOM. A resolution on the EU integration process in Serbia, adopted by the European Parliament on January 19th, 2011, expresses support for the RECOM Initiative in Paragraph 34, “with a view to further moving forward the process of awareness and reconciliation throughout the Western Balkans and calls for support for it from the authorities in Serbia and other countries concerned”. On January 26th, 2011, the Parliamentary Assembly of the Council of Europe adopted Resolution 1786 (2011) on reconciliation and political dialogue between the countries of the former Yugoslavia, expressing support for all efforts by post-Yugoslav states aimed at bringing about reconciliation and new relations between them. 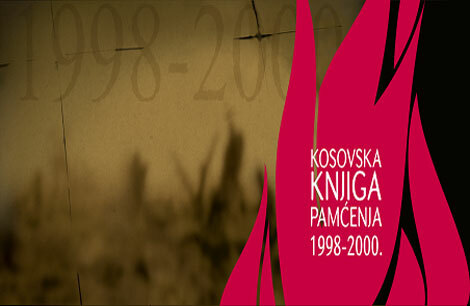 In particular, the Resolution highlights its support for the initiative by NGOs from post-Yugoslav states for the establishment of a Regional Commission to determine the facts about the war crimes perpetrated within the territory of the former Yugoslavia (RECOM), with the aim of recognizing all victims, and paying respects to each of them. At the Assembly meeting held on March 26th, 2011, the RECOM Coalition adopted the RECOM Statute Proposal, prepared by the Coalition’s Statute Working Group by taking into account the proposals and suggestions put forth by the participants in the consultation process, and drawing on the analyses of the statutes of truth commissions’ which had proven successful in the past, along with the legislation behind various parliamentary commissions and commissions of inquiry in post-Yugoslav states. 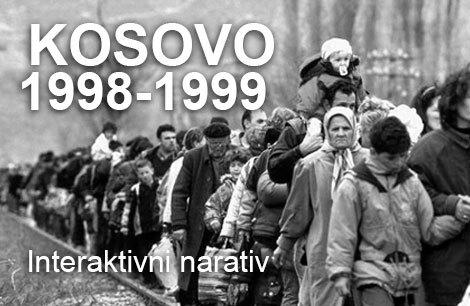 Over the course of a nine-week campaign, a total of 545,000 signatures supporting the petition were gathered, including 122,540 in Bosnia and Herzegovina, 19,674 in Croatia, 31,060 in Montenegro, 254,625 in Serbia, 5,346 in Slovenia, 10,069 in Macedonia, and – which came as the biggest surprise – 100,566 in Kosovo and 46,000 in Banja Luka. Unlike the previous fora, which served to facilitate the debate about the establishment of RECOM, the aim of this forum was to review and assess the results of the transitional justice process in the region. “This is an attempt to transfer the process of facing the past to the institutions of state”, said Kandić. The meeting was held on June 27th, 2011 at the Holiday Inn hotel in Sarajevo, B&H. A letter of support for the Initiative to establish RECOM, sent on October 7th, 2011 and addressed to all the presidents and presidency members of the post-Yugoslav states, was signed by 155 artists and intellectuals, all of them renowned throughout the region. The second phase of the RECOM Process – the Institutionalization of the RECOM Initiative (the transfer of the Initiative from the civilian to political levels) began with the formation of the Regional Team of Public Advocates (RTPA) in October of 2011. At the invitation of the Humanitarian Law Center, the team members were nominated by the partner organizations which had taken an active part in the three-and-a-half year long process of consultations about RECOM’s mandate. The RTPA’s primary task is political advocacy for the establishment of RECOM. The RTPA is composed of: Zdravko Grebo, professor at the University of Sarajevo Faculty of Law (B&H), film director Dino Mustafić (B&H), theatre director, Dženana Karup-Druško, journalist (B&H), Žarko Puhovski, philosophy professor at the University of Zagreb (Croatia) Adriatik Kelmendi (Kosovo), Dragoljub Vuković (Montenegro) and Dinko Gruhonjić (Serbia), journalists, human rights activist Nataša Kandić (Serbia) and prof. dr. Židas Daskalovski (Macedonia). Biljana Vankovska, philosophy professor at the University of Skopje (Macedonia), resigned from the RTPA in November of 2013, citing lack of success in her work on public advocacy in Macedonia. Journalist Igor Mekina (Slovenia) ended his engagement with the RTPA and the RECOM Initiative in January of 2014. 63 representatives of member organizations of the RECOM Coalition from all post-Yugoslav states took part. Žarko Puhovski, RECOMs Public Advocate in Croatia, took the opportunity to raise the issue of the RECOM Statutes “core principles”, to be defined by the Coalition, so that the advocates would have clear guidelines about the minimum standards to adhere to in the course of their public advocacy for the RECOM Initiative. In his assessment of this new advocacy phase, he said the following: “As the entire RECOM Process begins to shift to political levels, it starts to lose substance, but gains power. The loss of substance will primarily manifest itself in political demands for changes to our Statute Proposal. With respect to any potential amendments, it is up to the Coalition to define what the “core principles” are, that is, what has to stay in the Statute, and which issues could allow room for compromise, if necessary.” The Coalition concluded that the “core principles” of the RECOM Statute Proposal would be discussed at the next meeting of the RECOM Coalition, scheduled for February of 2012. 65 members the RECOM Coalition took part in the meeting, where they were given a presentation on the findings of a recently conducted research into the state of transitional justice in post-Yugoslav states. The members of the RECOM Coalition then used the rest of the day to discuss the progress of the process of the institutionalization of the RECOM Initiative, and the “core principles” of the RECOM Statute Proposal as a binding minimum to be adhered to in all public advocacy for the Initiative to establish RECOM. During the debate about the “core principles” of the RECOM Statute Proposal, the participants agreed with Prof. Žarko Puhovski’s proposal that the RECOM Statute Proposal (adopted by the RECOM Coalition on March 26th, 2011) be treated as the starting point for reaching the minimum required consensus for any debate to be held at an official level. In a resolution on Serbia's progress (2011/2886 RSP), adopted by Parliament, and prepared by the Slovenian delegate Jelko Kacin, in paragraph 39 of this Resolution, the European Parliament "expresses support for the Initiative for RECOM and its continuous initiative towards and directing of the process of reconciliation throughout the Western Balkans." The main topics of the meeting were the advocacy and progress of the RECOM Initiative within the political context in the region of the former Yugoslavia. A meeting of the Coalition was held on September 8th, 2012 in Belgrade, with 60 of its members taking part. For the very first time, the Coalition members spoke about the war and their own wartime experiences and memories (the session was titled, What we remember, and was published in issue 10 of the RECOM Initiative !Voice). For the first time, the victims spoke about their experiences in one of the Coalition’s meetings, and it was owing to their participation in the RECOM Process that the young people in attendance got to learn more about the war crimes. The campaign was focused on reminding the region’s presidents and presidency members of the fact that the establishment of RECOM depended on their decisions. Modeled after some campaigns by Amnesty International, postcards containing brief messages were sent to the region’s presidencies, reminding them of the support they had already pledged to the establishment of RECOM, and that the time had come to take it a step further. The RECOM for the Future Campaign was conducted on September 22nd, 2012. The Coalition for RECOM continued to gather signatures of support for the establishment of RECOM. On January 25th, 2013, Croatian President Ivo Josipović appointed Zlata Đurđević, a tenured professor at the Faculty of Law, University of Zagreb; also on January 25th, 2013, Gjorge Ivanov, the President of Macedonia, appointed Luben Arnaudoski, Cabinet Member and Vice-Secretary-General for legal and organizational affairs; on January 28th, 2013, Montenegro’s President Filip Vujanović appointed Sonja Tomović-Šundić, the Dean of the Faculty of Political Science at the University of Montenegro and his Personal Advisor on minority and human rights; Kosovo’s President Atifete Jahjaga appointed her Personal Advisor on legal affairs Selim Selimi on March 25th, 2013; also on March 25th, 2013, B&H Presidency Member Željko Komšić appointed Goran Mihaljević, a lawyer and liaison to the Hague Tribunal; B&H Presidency Member Bakir Izetbegović appointed Aljoša Čampara, a lawyer and Deputy-Mayor of Sarajevo on February 21st, 2013; Serbian President Tomislav Nikolić appointed Belgrade Court of Appeals Judge Siniša Važić on February 21st, 2013. Slovene President Borut Pahor, and Nebojša Radmanović, the third Member of the B&H Presidency, have yet to appoint their envoys to RECOM. 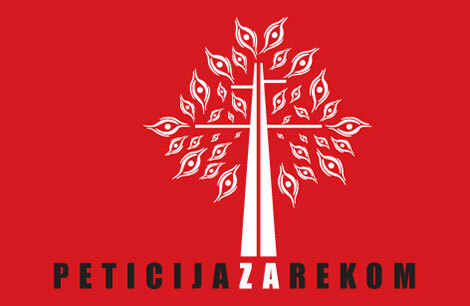 The Ninth International Forum for Transitional Justice, titled Reconciliation in post-Yugoslav countries, was held on May 17th and 18th, 2013, on Mount Jahorina in B&H. The event hosted a discussion about the achievements in bringing about transitional justice in post-Yugoslav states, the Northern Ireland experience, reconciliation from the perspective of the region’s states, CSOs, religious communities and congregations, the scientific, artistic and culturalogical community, the legacy of the Hague Tribunal, and the function of reconciliation. The Sixth Assembly of the RECOM Coalition was also held on May 17th, 2013, on Mount Jahorina in B&H. The Regional Expert Group is composed of the Region’s presidents’ and B&H presidency members’ personal envoys to RECOM. The envoys’ task, formulated by Croatian President Ivo Josipović, is to analyze the RECOM Statute proposal from the perspective of the constitutional, legal and political grounds for the establishment of RECOM in each individual state. Also taking part in the group’s activities on behalf of the RECOM Coalition and the Regional Team of Public Advocates were Midhat Izmirlija, a member of the RECOM Coalition’s Working Group, and RECOM Process Coordinator Nataša Kandić. Their task was technical in nature – to offer an accurate interpretation of the RECOM Statute Proposal as submitted by the Coalition, and to ensure that all proposals and suggestions put forth by the envoys are incorporated into the Amendments accurately and in a timely manner. On occasion, other public advocates also took part in the activities, acting purely as observers. The envoys held a total of four meetings – two in 2013, in Zagreb on September 8th and October 24th, and two more in 2014, on March 8th in Zagreb, and on May 4th in Belgrade. At the second meeting, the envoys decided to consult with their respective presidents/B&H presidency members about the “period and scope” of the Commission’s research before submitting their final Amendments for review and approval. The envoys began their consultations in May, and they were still underway as of June of 2014. The public advocates also took an active part in these consultations. The envoys’ mandate ended on October 28th, 2014. Their proposed Amendments to the RECOM Statute Proposal were adopted by the RECOM Coalition at an Assembly meeting held on November 17th, 2014. On the occasion of the International Day of Peace, the Coalition for RECOM organized a campaign titled I Support RECOM, and informed the general public that the Regional Expert Group for RECOM had begun its work. On November 14th, 2014, the Coalition for RECOM held its seventh Assembly Meeting in Belgrade (Serbia), attended by 104 delegates representing 1,950 Coalition members. The delegates voted to support the proposed Amendments to the RECOM Statute, with only 1 vote against and 2 abstentions. The proposed Amendments concerned the legal and constitutional grounds for the establishment of RECOM in each individual state, and were formulated by the personal envoys of the presidents of Montenegro, Serbia, Croatia, Kosovo, and the Bosniak and Croat members of the B&H presidency. The Tenth Forum was dedicated to the achievements in the area of transitional justice, to the promotion of the use of facts in artwork, and – to hearing the voices of the victims. It was organized by the Coalition for RECOM on November 15th and 16th, 2014, in Belgrade. A new phase of the RECOM Process was also announced, during which the Coalition would monitor, assist and encourage institutions of state to establish RECOM. On December 10, 2012, the Coalition for RECOM sent a letter to the Presidents and Members of the BH Presidency, reminding them that the Assembly had endorsed the Changes to the RECOM Statute, whereby the conditions were created for a new step towards the establishment of the Regional Commission for establishing the facts about war crimes and other serious violations of human rights in the wars in the former Yugoslavia (RECOM).